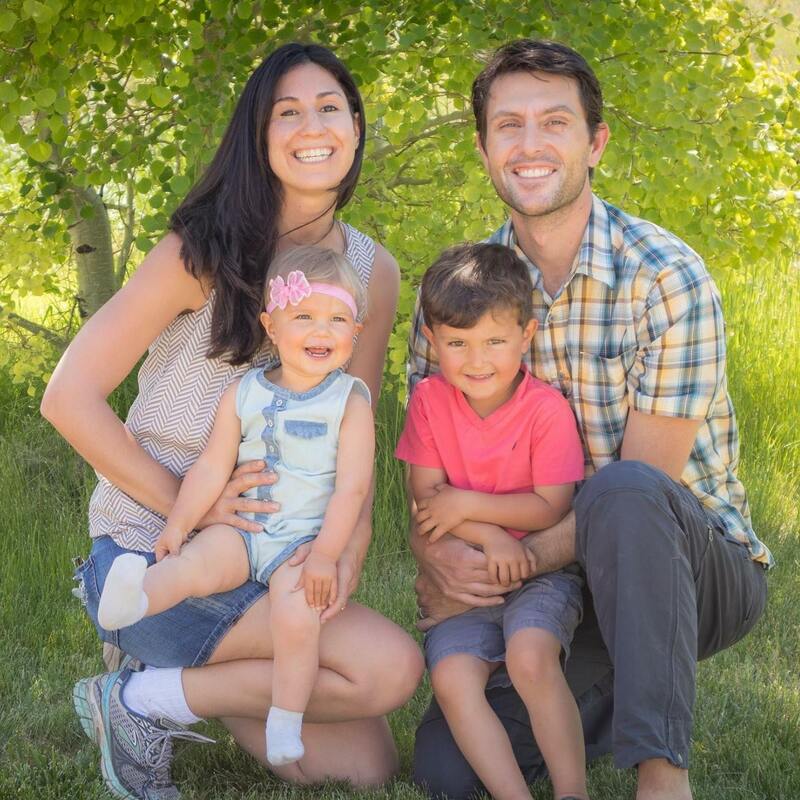 I am a post-career SAHM (Stay-at-home mom), living in Bozeman Montana. I share stories and ideas from parenting with a Montessori and Positive Discipline inspired perspective. Also, I LOVE DIY projects and finding great ways to use thrift store or hand-made toys for my little ones. Learn more about why I say I'm "Just" a stay-at-home mom. 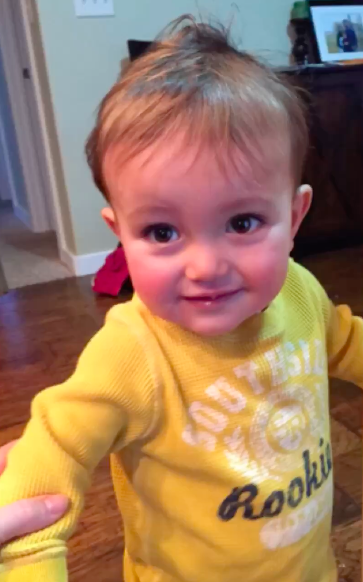 Distract & Redirect: The key to managing toddlers! So, my husband’s brother turned 30 today and we wanted to do something special for him. Since he loves his nephew (How could he not?! ;-) ), I made a few funny videos and picture cards to text him throughout the day. Maybe one of your friends/family would love something like this on their Birthday. Idea #1: Make a Singing Birthday Video. This is so easy. I used the MyPetCanTalk app, which you can download for FREE! It is easy to take a photo, sing the song, and save it to be emailed or texted. 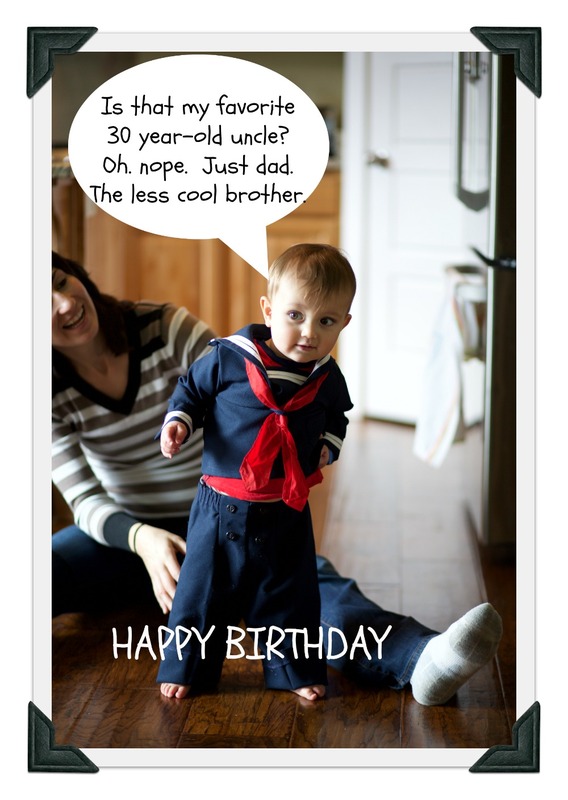 Idea #2: Make some funny photo cards, similar to ones you might have seen in the store…but STARING your little one! I used PicMonkey to upload and edit the photos. Super easy and also FREE! My husband and his brother are always giving each other a hard time.